About the Artist: "I live in Nebraska, and I do art glass as a hobby. I work in stained glass and fused glass. I have been interested in cryptozoology and the paranormal for most of my life. I enjoy combining my interest in the unexplained with my hobby of working in glass art. I am donating several fused glass pieces and a stained glass panel. My art represents strange creatures that exist in the forests, and the mysterious and colorful nature of their world. I feel that the colors and textures of glass portrays a vivid and fascinating glimpse into the world of the unexplained." 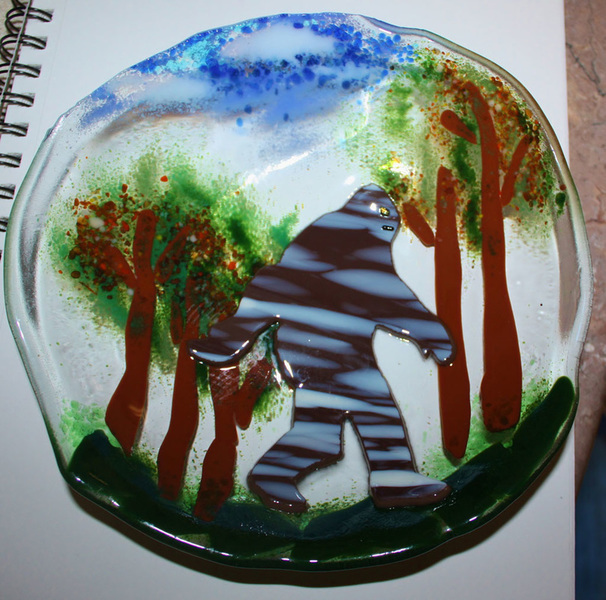 ﻿ITEM #1: "Bigfoot Bowl" made from fused glass. 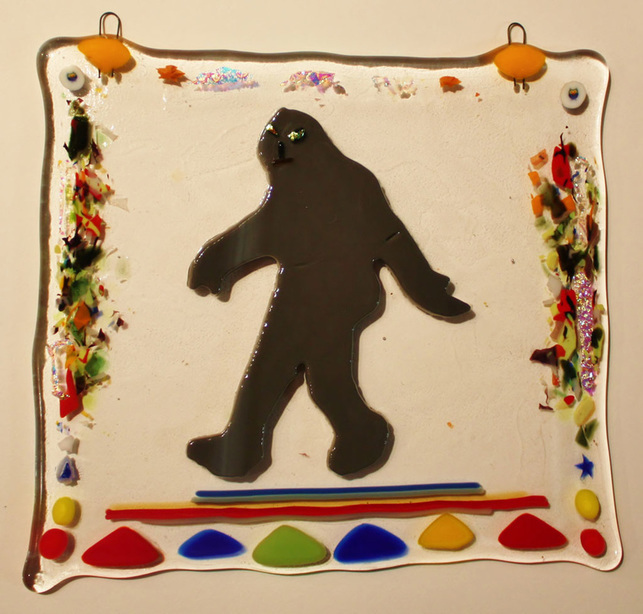 ﻿ITEM #2: "Bigfoot Tray" made from fused glass. ﻿ITEM #3: "Bigfoot SunCatcher" made from fused glass.